Projects the time on to your ceiling! 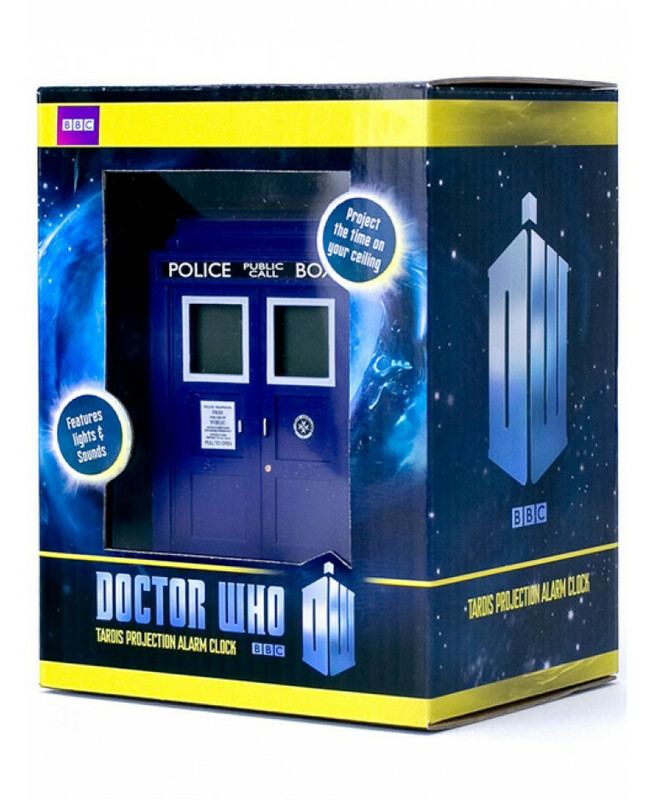 Ideal for any fans of The Doctor! 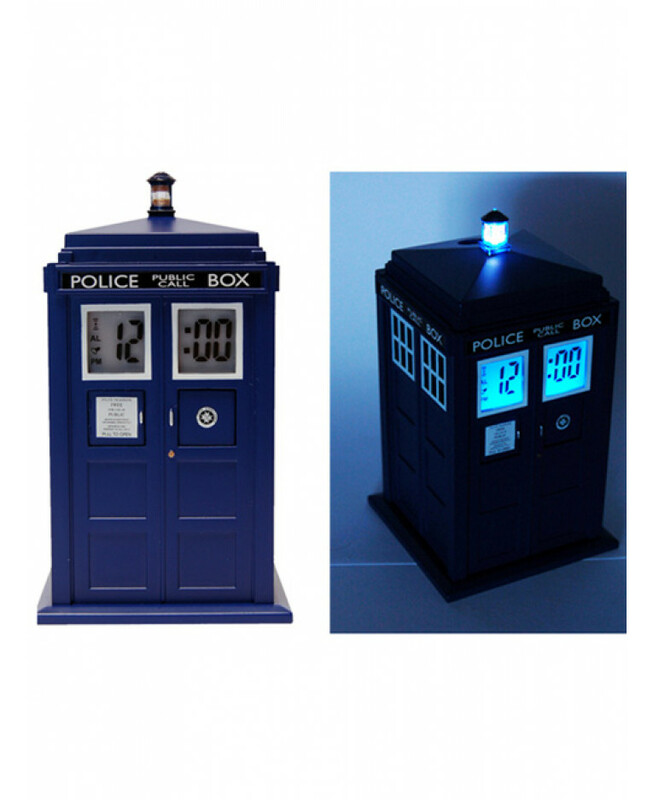 Features lights and Tardis sounds when the alarm goes off! 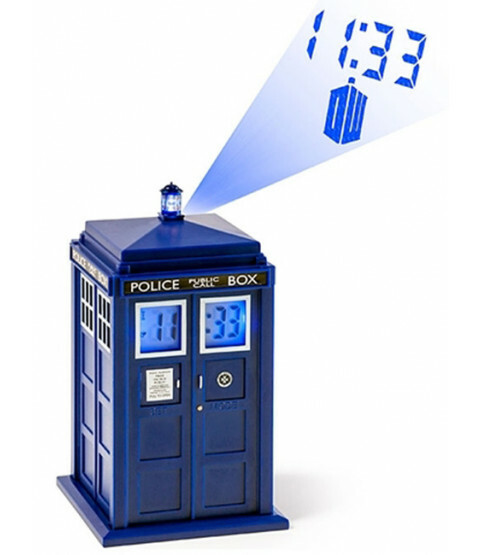 The Tardis Projection Alarm clock provides the perfect encouragement for those who find getting out of bed a little tricky!The clock projects the time onto the ceiling or wall via a projector hole on the roof of the Tardis and it will wake you up with a flashing Tardis light and sound effects! Ideal for any Dr Who fans!